An introduction to the principles of parallel incarnations by Willa Hillicrissing, a parallel reality specialist from 700 years in our future. • I'm a past-life regression therapist. If all time exists now, how can I help people help themselves in the now? • What would you say to people who want spaceships to take them away? • What are some examples of Bashar's highest excitement? • What is your perspective on Ascended Masters and Christ Consciousness? • Your ship is above balancing out the Earth's energy. You would have to assume that we are very out of balance for that to be necessary! • What is the purpose chemtrails? • Could you give your perspective on Jesus? • Getting to the bottom of a "Pain in my neck." • Is integration about trusting? • How can we embrace self love? 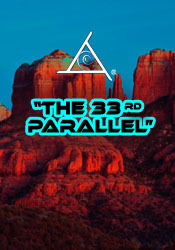 • Are all the 33rd Parallel Cryptics female? What are their appearances? • Where do the cryptics live on the planet? • Did the cryptics come out of the hybridization program? • Am I related genetically to my friend's hybrid son? • Exploring more about Willa's PIN chart. • Bashar speaks on vortices and Upheaval Dome, Utah. • Is Glastonbury, England a good place to set up a hybrid community? • I'm not hearing all the messages by guides send me. Is there something wrong with my hearing? • From your perspective, how do you perceive Kundalini in the human form? • How can one not unintentionally hurt others? • What happens to the frames in the filmstrip that are not perceived? • Bashar reflects on why Angel Valley's large meeting tent blew down last week. • What does Bashar experience on his end during the transmissions? • What question do you wish we would ask? And what would be your answer to it? • Since all souls exist simultaneously in multiple realities, are all souls in polyamorous relationships? • Can you give your perspective on destiny and free will? • Why am I not remembering my dreams? • How can I work with my 2nd Chakra? • Questioner didn't put her name in the basket! • How do you turn around negative synchronicities? • Bashar speaks on "The Trickster" archetype. • How questioner's weight issue relates to the ET hybridization program. • How are dolphins connected to our friends in the stars? • Are the "Mothman Prophecies" real?